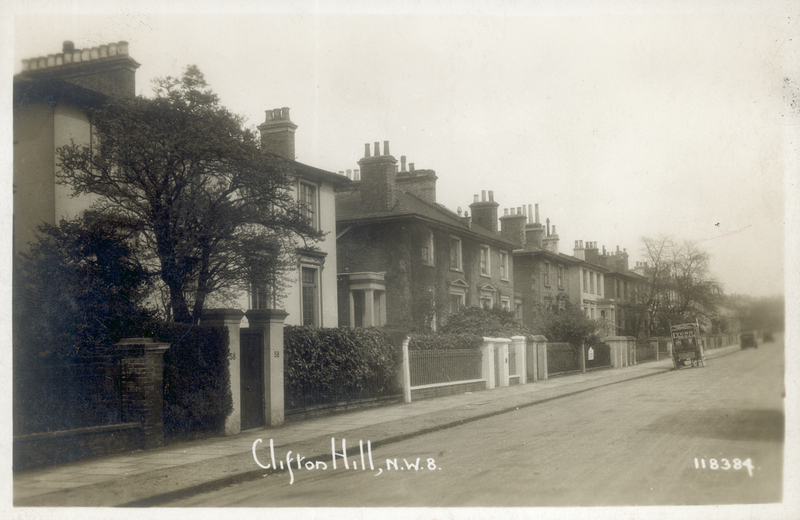 My parents moved to Clifton Hill shortly after the war, in 1946, with my brother, David, who had been born in 1944. I was born in April 1948, but since my mother was confined to bed for almost the entire duration of her pregnancy, it was decided that it was safer for me to be born at the Avenue Clinic, in Avenue Road. The clinic was later demolished in the late 70’s. My father had returned to the Bar after he came out of the RAF where he had been a Squadron Leader. He travelled daily by tube from St John’s Wood into the Temple. His wore striped trousers, a black jacket, stiff collar, white shirt, tie and, always, a bowler hat. In the 1950s, it is what almost every professional man wore to work, but particularly at the Bar. 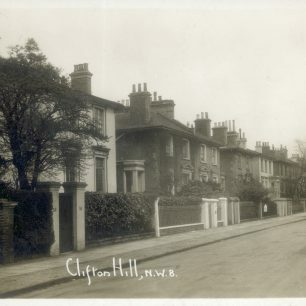 We lived at 32 Clifton Hill, a semi-detached house midway between Loudoun Road and Abbey Road, which was rented from the Eyre Estate at an incredibly low rate. There were steps up to the front door, although it was called ground floor, and below there was the basement but was only just below ground level at the front, and garden level at the back. As you went through the front door, into the hall, the staircase was straight ahead, slightly to the right, and the dining room was on the left at the front of the house. In the corner of the dining room was a ‘dumb-waiter’ that was winched up from the kitchen below with a handle that needed turning whilst holding down a pedal close to the floor. The lift only rose as far as table height and, usually, there was a mahogany sideboard placed over it. The room at the back of the house was the drawing room, into which we children were not often invited. Upstairs, we had 3 bedrooms, two of which were double. My parents had the one overlooking the garden, which had a small balcony adjoining the house next door. We had one bathroom, but both double bedrooms had basins in the corner of room. I had the single room, as I was the only girl, since another brother was born in 1950, but I usually shared with a nanny. I remember clearly the day my brother was born, indeed, the moment, as he was born in my parent’s bedroom, although I was only two and a half. The first few years we usually had ‘domestic servants’, an Italian couple, living in. They had the room near the kitchen downstairs at the back of the house. The basement consisted of a quite large kitchen at the front of the house, below the dining room, and the nursery, as we called it, at the back of the house with French windows leading on to the garden. This is where we children had all our meals, and played. There was also one small bedroom downstairs where the couple lived, and, after they had left, when we were older, the au pair. Next to the kitchen was a pretty miserable bathroom, where there was a wringer over the bath for washing the clothes. From here a small door to the coal cellar, which was dark, black and cold, and under the pavement. Every morning, my father would ‘do’ the boiler, remove the ‘clinker’, and fill up the boiler with fresh coal, and then re-light it. He was, apparently, the only one who ‘understood’ the boiler and, anyway, it was considered man’s work. Once he had lit the boiler, his braces would disappear under his black jacket and off he would go to chambers in the Temple. Frequently, the boiler would go out during the day, which would result in cold water, and cold baths at bath time. We did not have central heating. Winter mornings were cold, too cold to jump out of bed. On winter mornings, lying in bed, it was often possible to see your own breath in the air. We had a small electric bar in the boys’ bedroom in front of which we would dress. On more than one occasion, we would warm our slightly yellow woollen, Chilprufe, vests in front of the electric fire. One second too long and we would scald them for which we were severely reprimanded, particularly since Chilprufe vests were expensive. There was a small but adequate garden in which there was a pear tree producing quantities of Williams pears every year. In the garden shed, which was against the house, was kept all my father’s kit, much of it desert equipment from the war. I have no idea why he kept it but we were allowed to play with it, which we loved to do. 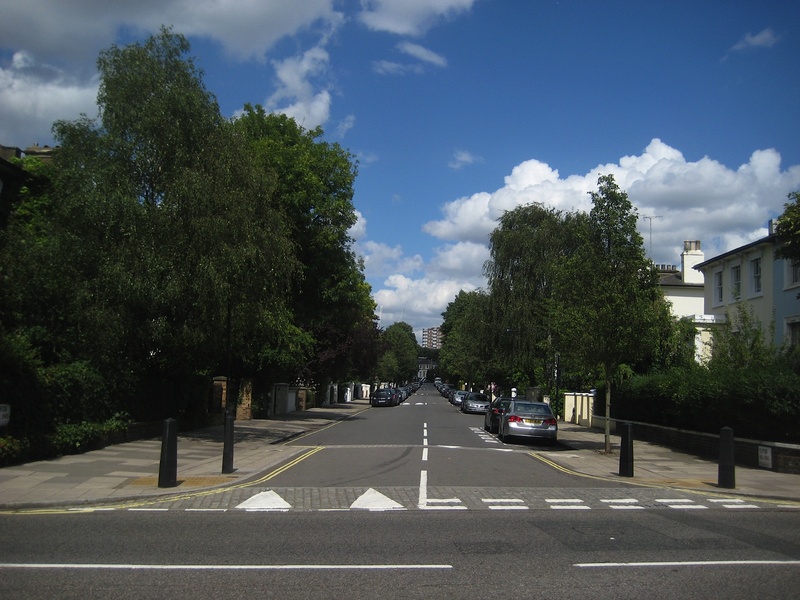 On Saturday mornings, my father would walk to synagogue, in Bayswater, with my two brothers. It was an orthodox synagogue, so the women sat upstairs. My mother would excuse herself by saying that as soon as lunch was organised, she and I would join them. I never remember my mother walking to synagogue. When we came home, lunch would always be in the dining room, whereas other meals for us children would be in the nursery, downstairs. My memory is that we always had chicken for lunch, but I may be wrong. My mother was a good cook, and interested in cooking. A close neighbour, and friend, of hers, was hugely keen on the writer, Elizabeth David, and interested Mummy in Elizabeth David’s cookery books. My parents ate fairly formally every night after we had been tucked up in bed, and my mother always changed for dinner. The table in the dining room was beautifully laid, and, after a sherry in the drawing room, dinner was served in the dining room, by the domestic couple. After dinner, coffee was served, in the drawing room, in small navy cups, with a 1930’s silver coffee pot and matching milk jug and sugar bowl. All meals were orderly affairs. There was no eating on laps, or spontaneous grazing. It was all planned meticulously. Breakfast was at 8am. My older brother was anxious to leave the house early so that he could play football in the playground before school started. My father, a strict disciplinarian, would rarely allow it. Either porridge or cereal was served at breakfast, followed by an egg and one piece of toast. Everyone had to have the same; there was no choice. Children did not know what they wanted; they had to have what they were given. Table manners were of prime importance, and every thing on your plate had to be finished, or a battle ensued. I would not eat rice pudding and one day was removed to my father’s study where I sat for several hours with the rice pudding in front of me. I won the battle, as by 7pm I had still not touched it and my father was forced to give in. 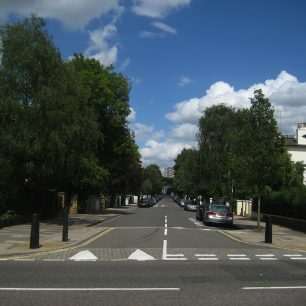 We would walk down the road, over Abbey Road and into Boundary Road for most of our food. Michael’s Delicatessen was where most of the groceries came from. Mrs. Michael was a large and jolly lady and had most of the groceries delivered to our house. A couple of doors along was Mr Allen, the fishmonger. Mr Allen had an extraordinary likeness to a cod, which always made us children laugh. He would take down a large tin box with Smith Crisps embossed on the side. He would say: I think I know what you three would like. And then give us each a packet of crisps. Inside was a small piece of blue waxed paper in which there was a twist of salt. We undid the paper, sprinkled the salt into the packet, held it closed, and gave it a good shake. How kind we thought Mr. Allen was always ‘giving us crisps’. It was only years later that we found that it went straight on to Mummy’s account. Ray, the greengrocer, was there with her husband, Imperato. They were Italian. In the 1950s, many foods, now readily available, were rare. Imperato would go to Soho to buy peppers, aubergines and courgettes none of which were available locally. All the local shop-keepers lived above their shops. Down the far end of Boundary Road, on the corner, was the sweet shop that sold a few newspapers and, more importantly, Tizer, for our mid-night feasts. We only ever drank Tizer at mid-night feasts! Tony, who owned the shop, was the brother of Ray. Ray lived on for years, and I often used to pop in and see her until about the mid-80s when she disappeared. Our doctor’s surgery was along this parade of shops. On the way home, turning right in to Abbey Road we would once again pass the butchers where dead rabbits and game would hang off the metal bars holding up the awning outside the shop. This we did not like at all. There was one of the original Cullens, the grocers, along this parade where men in brown cotton coats would serve customers. Nothing was self-service and we would stand at the counter either side of the shop and read out the list whilst these two men would run around and fetch the produce. I remember some contraption whereby the money travelled along across the top of the counter to and fro from the cashier. Many tradesmen came to the house. Milk was delivered daily by horse and cart and the milkman would drive my father mad as he always asked for payment just after we had sat down to Saturday lunch. Many people would run out and pick up the horses dropping to use in their gardens. At least twice a week a rag and bone man would lumber slowly down the road with his horse and open cart shouting ‘Rag ‘n bone’, repeatedly. Coal was delivered, as I mentioned, with coalmen whose faces were as black as the coal. They wore caps with a long extension down the back where they balanced the sacks. The round coal-hole lid, in the front of the house, was lifted and down the coal would pour into the cellar. In the holidays, we children would make friends with the road sweeper. There was one called Taffy whom we loved, as he told us stories of when he had been a professional boxer. We stayed by his side until he reached the top of Clifton Hill, and then we would run home. Vans delivered regularly from Harrods, Selfridges, Debenham & Freebody, Marshall & Snelgrove and Fortnum & Mason. If one had an account, goods of any value could, and were, sent ‘on approval’, or O/A, as was written on the docket. This meant that there was no charge until it was decided if you wanted the goods, or not, after which you would be charged. I believe that you had 3-6 weeks to make up your mind. There would be no charge for this service. The French onion man would arrive with raffia-strung onions attached to his bicycle. He always wore a striped Breton jumper and a beret with a red scarf around his neck, and had a strong French accent. Someone brought the most beautiful satin silk and lace lingerie which was laid out on the dining room table for my mother to choose and place an order. Mrs Morris came for the day twice a week to ‘do sewing’. She turned collars, mended socks and holes in our clothes, and made simple clothes for us children. The mending basket was always full for Mrs. Morris. She had married a policeman at the beginning of WW1 but her husband was called up, and killed almost immediately. 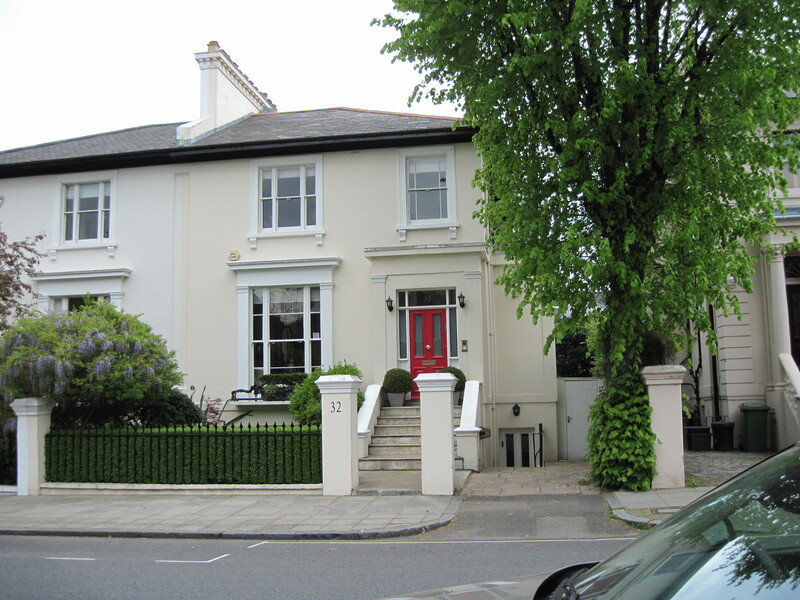 She lived in 2 rooms in a house at 44 Goldhurst Terrace, in Swiss Cottage, with Auntie. Auntie was ancient and we were fascinated by her. Sometimes, we would go and have tea with Mrs. Morris and Auntie in their two-roomed flat where they shared a bathroom and a kitchen with the other residents in the house. There was one large room overlooking the road which was Mrs Morris’. She slept on a small divan, which doubled up as a sofa during the day. Near the window was a small card table with a lace cloth, where we were taught to play whist, and later had tea. In the summer, Mrs Morris would take us up to Hampstead Heath to go blackberry picking. Auntie couldn’t come as she never left the flat. In Clifton Hill, there were lots of children, most of whom played together. We played in each others gardens, climbing over the 5 foot walls with ease, and ran along the length of them with great agility. We played in the road, but there was no danger of cars as there weren’t many since there was little traffic. We had a car but most of the neighbours did not. My maternal grandparents, who moved to London from Plymouth after the war, were appalled to see that we were allowed to play in the road. One of us would shout ‘weasel’, and we cleared the road until the car had passed. Our car was always parked outside the house, and if another car parked there, my father would call the police to ask them to remove it. At the top of the road and around the corner was a Blue Star Garage (Majestic now). Bill, the mechanic wore navy blue dungarees, and had straight black hair that flopped over his smiley, good-natured face. We were often told to go and ask Bill to walk back with us, pickup the car, fill it up and bring it back. And that is what happened, on a regular basis. We all three children started at Mrs McCaffreys School in Langford Place. Mrs McCaffrey had been my aunt’s governess during the war. I loved it there from the first day and I could not understand why so many of the children were crying when their mothers left. By the time I was at the top of the school aged 7 years old, I could read fluently and knew all my times tables. If you made mistakes you were given 6 or 12 whacks with the ruler on the palm of your hands. It stung like mad but girls and boys were treated equally. From there, I went to Francis Holland, Clarence Gate. Quite soon, I travelled by myself taking the 159 bus from Abbey Road to the last stop in Park Road before it turned into Baker Street. In winter, most mornings the fog was so dense that it was impossible to see the front gate of our house. The journey cost a penny ha’penny. Dr. Barnado collection boxes, which looked like small cottages, were given to many households but it was my responsibility. Mrs Daly-Lewis, at 12 Clifton Hill, held an annual tea party at Christmas when the sealed Dr. Barnado’s box was opened, money counted, and you were named and shamed. I dreaded these tea parties as my box sat in the cloakroom gathering dust all year, and I forgot to collect coins. I was taught to play the piano by Mrs Merion Davies who lived across the road from us in Clifton Hill. Lessons were in one of her drawing rooms where she had a grand piano in both the front and back room. She was Welsh, and had been a professional concert pianist. The house had a musty smell. I loved learning with her and she was liable to dance around the room as I played. Annually, she held a concert for all her pupils. After one duet at which the other pupil and I lost track of each other, another parent in the audience turned to my mother when we had finished and asked, “who won?”. My brothers attended Arnold House School in Loudoun Road and the uniform came from the frightfully smart Rowe’s of Bond Street. It was just opposite Fenwicks, and our tweed winter coats with velvet collars were bought there too. My father was persuaded by the father of one of our friends, an anaesthetist, to stand for election as a local councillor on St Marylebone Council . My father was duly elected to Ward 10, which was the area around Harley Street and Wimpole Street. There were always plenty of pamphlets which needed delivering all around that area. Having addressed the envelopes from the electoral register we had to help our parents deliver them. As we became older, we were sent off on the bus to do it by ourselves. 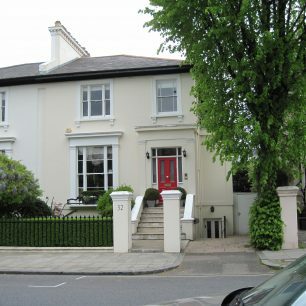 On Sundays, we were enrolled, and attended the Sunday school attached to the synagogue in Abbey Road, now called the New London, The lessons took place in a run-down and damp old house next door to the synagogue. It was not the synagogue which we attended normally. My parents were members of ‘Old Bayswater’ synagogue, later demolished to make way for the Westway..
We lived in Clifton Hill until 1964. It was a very happy period, and a charmed childhood. This page was added on 06/07/2014. Dear Jane, I was born in 1944. My father William Myers was your father’s clerk before the war, after which he worked at Harrow School. I think his time as your father’s clerk was his happiest. Our family was invited to lunch in the early fifties, I remember the house, a small boy riding a bike round the garden, and a little girl. Chicken stew with tomatoes. My sister and I were very shy, but your parents were so kind. I think Your father gave us special access to the zoo one time. My father had nothing but deep respect for yours. I still feel a sentimental connection. All best wishes, Margot Myers, Oxford. Robert, yes, my parents were called Leonard & Rivka Pearl, and, yes, both my brothers, David and Simon, went to Arnold House School. Happy days! Lovely memories. I also went to Mrs Macafreys and then graduated to Arnold House which was virtually next door. You said your maiden name was Pearl. Was your mother by any chance called Rikka and did she move with your dad to Orchard Court? I moved there with my parents in 1965. I also think that I remember your brother who went to Arnold House – around 1956? i also had a piano teacher called Miss Levy. We loved it when she played the final movement of Beethoven’s Moonlight Sonata. Which was very fast and all her chins wobbled and she had terrible trouble turning the pages of the music….they always fell on the piano keys. We loved the drama of it. Leonard Pearl, my father, was Mayor of St Marylebone in 1963, then chairman of the 3 Boroughs the year before the amalgamation. Subsequently, he was Lord Mayor of Westminster in 1969, the year we were married. Dear Jane, Fascinated by your article, which brings back so many memories – we lived at 56 Clifton Hill, from 1949 until the early seventies. My older sister Judy now lives in New York and my brother Michael is still in London. Judy and I are trying to work out your maiden name – could you have been Jane Pearl? Hope to hear from you. Maybe I should add some memories too….. Best wishes, Sarah.